The past 15th September one of the greatest updates of Counter-Strike: Global Offensive came up solving some bugs and creating new animations, among other changes. About bugs, one of those which caused the biggest number of deaths has already been solved. How many times have we known where a player was because we could see his weapon trhough the wall?, this won’t happend again, because a piece of the weapon and of the player are hidden in the wall. This was also a bug that has been corrected two days later,in the last update. Related to animations, player body and weapons animations have been improved to more accurately represent. Also, it added reverse-bone-merge animation support so weapon models can store and play independent animation on the player holding them and new physics motion to holstered attachment weapon locations. 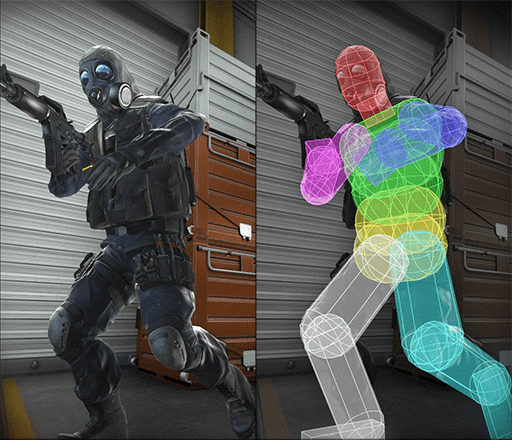 Also, we can find hitboxes modifications, because the shared ones have been replaced with new capsule-based set, such as the animation and hitboxes are more realistic when the player is climbing the ladder, correcting the position of this in the head. Another thing that has been noticed and talked about is the defuser links and multimeter that appear while player is defusing the bomb that previously didn’t appear. On the other hand, some weapons have changed, like M4A1-S, that its price has been reduced, its armor penetration, its ROF and base spread has increased. Another change is the Zeus x27 reduced price to 100$ and it can’t be dropped and the Dual Berettas modifications as increased armor penetration and increased range modifier. Lately, another noteworthy thing is that enemies can be reported for deliberately losing, for this reason some people will feel relieved because enemies could be banned. Finally, two days after the first patch, another update has been published in which some bugs of previous update have been solved such as fixed flickering shadows, and it have included new animations, like adjusted blend on bomb plant animation and adjusted crouch animation rise and fall speed. And, of course, what people love, the new case, Shadow Case, that include 16 weapon skins, including a new knive design, completely different from the others.